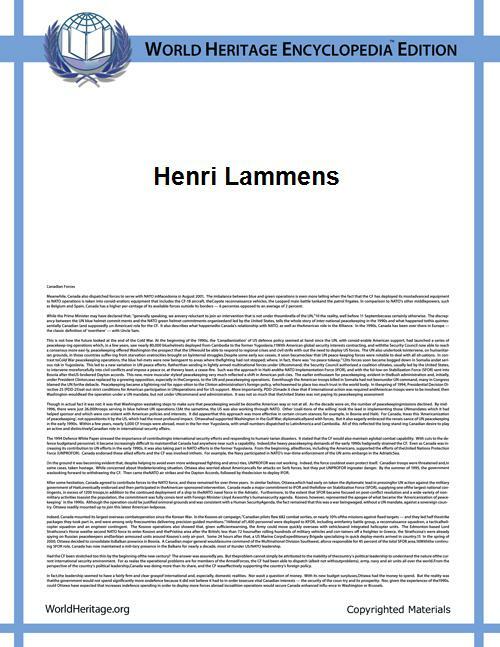 Henri Lammens (1 Jul 1862 – 23 Apr 1937) was an Orientalist historian and Jesuit. He is most notable for his books on the early history of Islam. He wrote in French. 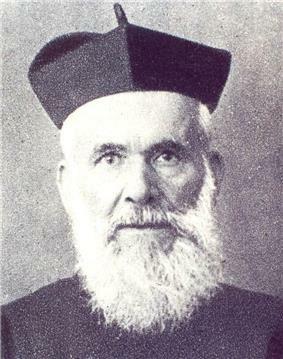 Born in Ghent, Belgium of Catholic Flemish stock, Henri Lammens joined the Society of Jesus in Beirut at the age of fifteen, and settled permanently in Lebanon. During his first eight years there Lammens mastered the Arabic language, as well as Latin, and Greek, and he studied philosophy at the Jesuit-run Saint Joseph University in Beirut. Between 1886 and 1891 he taught the Arabic language at the same university. His early published writings are on the subject of Arabic language. Starting in 1903 he taught Islamic history at the Oriental Studies Department at Saint Joseph University in Beirut. In 1907 he went to the Jesuit-run universities in Egypt at Cairo and Alexandria to do the same, and returned to Beirut in 1919. He also lived in Rome for a while. He published a series of studies on the Umayyads, and several on Pre-Islamic Arabia: Etudes sur le regne du calife Omaiyade Mo'awia ler (1908), Le berceau de l'Islam; L'Arabie occidentale à la veille de l'Hegire (1914). He contributed many articles to the first edition of the Encyclopaedia of Islam, as well as to various learned journals. His contributions are considered highly influential among Western historians of Islam; and yet he has often been criticized for his skewed portrayal of some historical issues. It is acknowledged "that Lammens provided the study of the Sira with a new basis; and none would underestimate his contributions on the history of the Umayyads." Lammens was very well read in medieval Arabic writings, and he used this knowledge to good effect to produce evidence-based history reports. At the same time, however, he had underlying presuppositions that are prejudiced and bigoted against Islam. Also, throughout his years living in Lebanon and Egypt, in addition to a very pro-Christian bias, he had a "commitment to European imperialism and a belief in the superiority of Western civilization". Numerous historians during his lifetime decried the islamophobic attitude contained in his books. At one point, Lammens proposed to write a biography of the Prophet Muhammad and the proposal was ruled out by his Jesuit Order superiors because of the extent of his anti-Islamic reputation. i.e. "[Lammens] whose erudition and acumen one must admire, but who often lacks the objectivity of an impartial historian." Louis Massignon criticized Lammens for 'misinforming' his readers with his 'far too cynical and disparaging study' of Hazrat Fatima. Islam: Beliefs and Institutions. An online review of this book is available. ^ Buhl, Franz (). Das Leben Muhammeds, p.367. ^ Rodinson, Maxime (). "A Critical Survey of Modern Studies of Muhammad", p.26. ^ Michael W. Ellis, Ellenville P.L., NY. ^ Fatimiya Sufi Order. "The Gnostic Cult of Fatima in Shi'ite Islam". gnosticfatima.blogspot.co.uk.